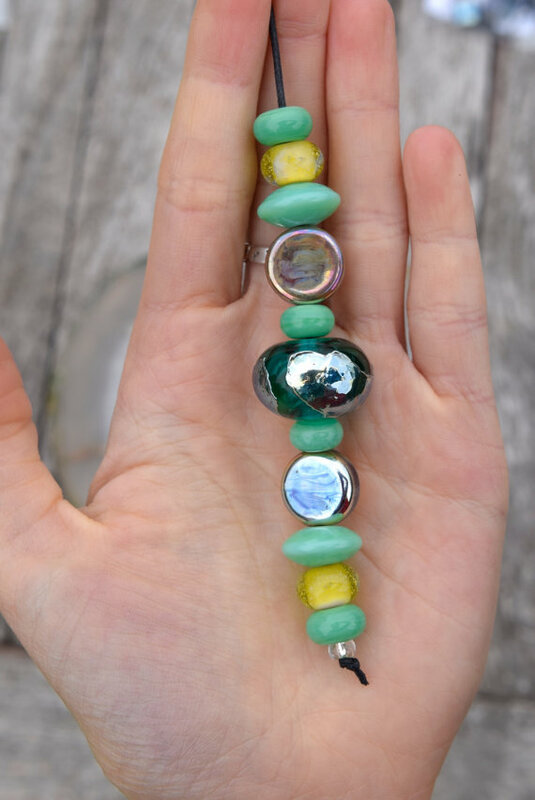 All of these beads are finished and ready to ship. You can get One of a Kind (Ooak) as well as pairs, what will be offered as MTO (made to order) in the other shop categories too. 4 Bicone Orphans - ready to ship! 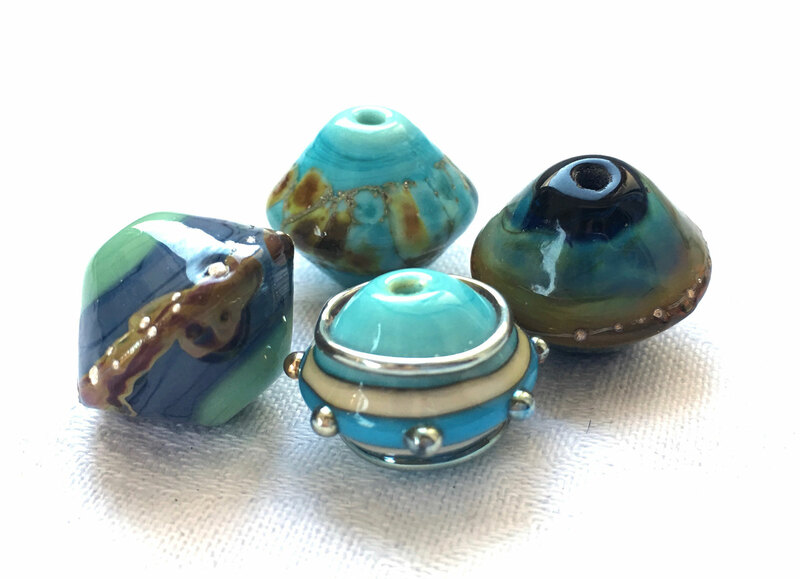 Beautiful orphan beads for your unique jewelry project. 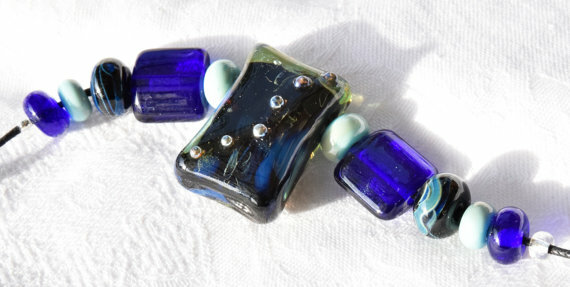 Made of Raku silver glass, a Murano glass what isn't continued anymore and .999 fine silver droplets. 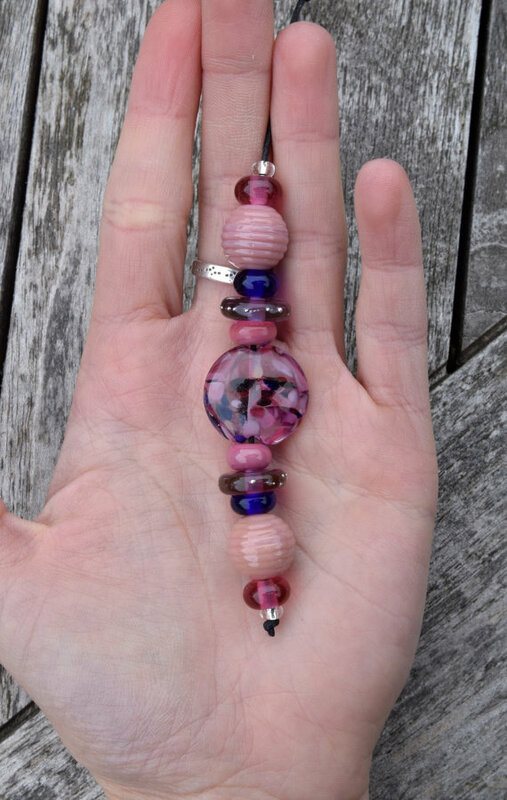 Made of Murano and Silver glass for a nice bling. There are also some rustic disc pairs and bubble discs included. 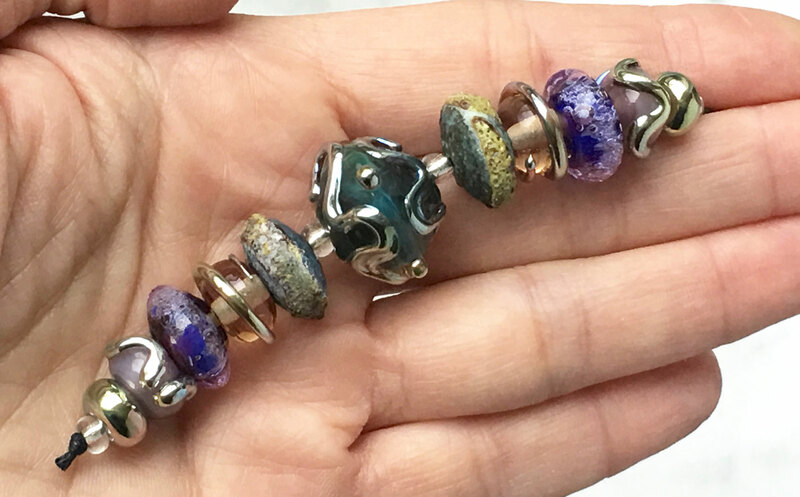 Made of Murano glass in a special technique to achieve the bubbles and pitted surface. Decorated with 23K fine gold foil to show the pitted surface very nicely. 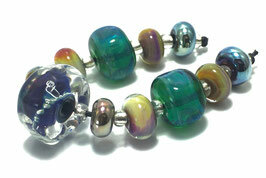 Made of Murano Glass and Silver Glass for beautiful colour reactions and metallic effects. The Focal has a very special look because of the melted Silver Wire inside the Glass. 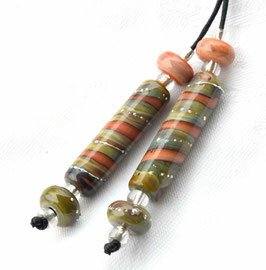 This Set is assembled with a lot of love and sense for harmonizing colours. 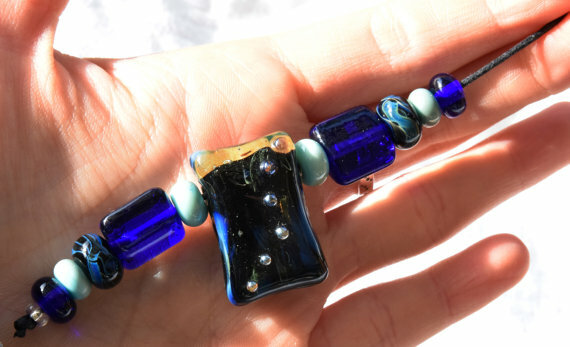 Made of Murano Glass. The Discs are decorated with silver wire. 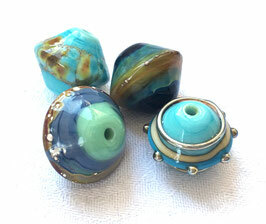 A lovely Set with harmonizing colors. 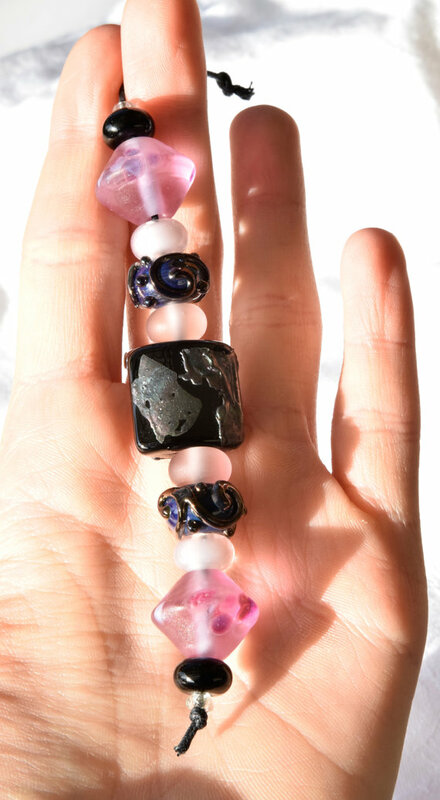 Absolutely unique and ready to ship! 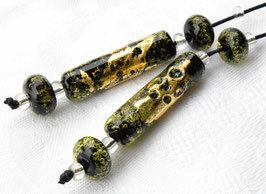 Made of Murano Glass and Silver Glass for beautiful color reactions and metallic effects. This Set is really special. Made of Murano & Silver Glass for metallic color reactions. The Focal is a Hollow Bead with some metallic glass shards for a nice bling. 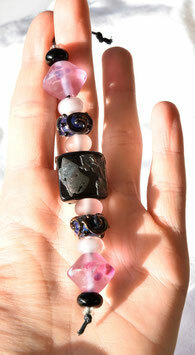 A lovely Set in harmonizing colors. Absolutely unique and ready to ship! Made of Murano Glass and Silver Glass for beautiful color reactions and metallic effects. This Set is really special. The Bicones are etched for a satin finish. 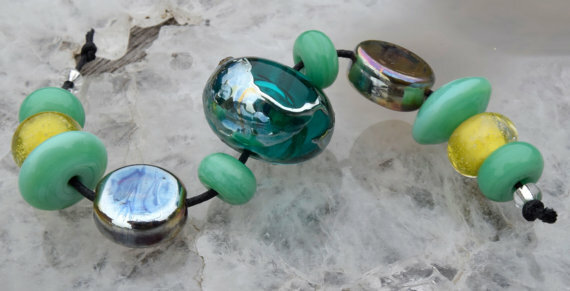 Made of Murano Glass and Silverglass for beautiful colour effects. 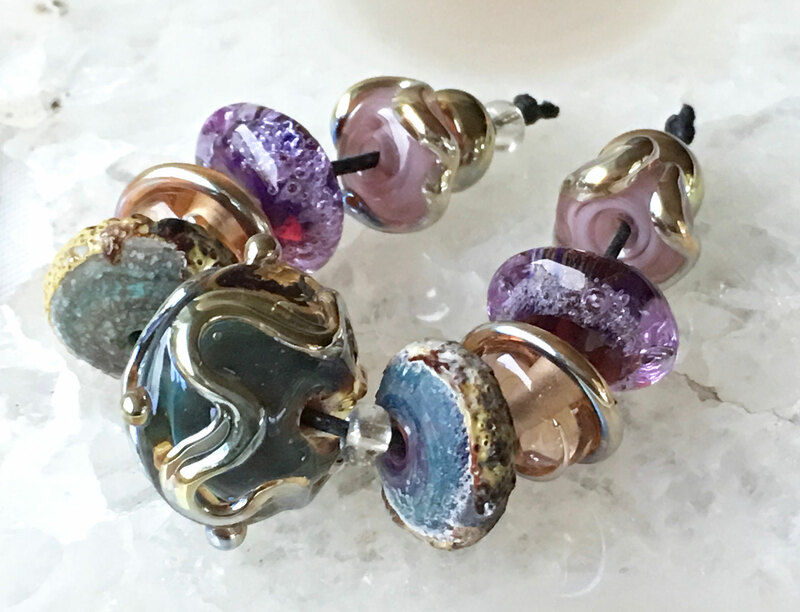 The matte metallic shards shows beautiful oil slick colors.